I might just be incompetent. First time user, long time looker here; I tried to use the cauls last night with some Bessey "K" body clamps and I don't think I'm a huge wimp, but I couldn't clamp tight enough to flatten the cauls to the work. Can you offer some insight or suggestions? Re: I might just be incompetent. Start lifting weights. You're a wuss. Maybe I'm not eating enough bacon? You probably not eating enough sushi. And perhaps a couple drops of oil on the threads. Last edited by RWeber; 02-01-2012 at 12:55 AM. When I sent you that photo of me that was just for your enjoyment, not publication. 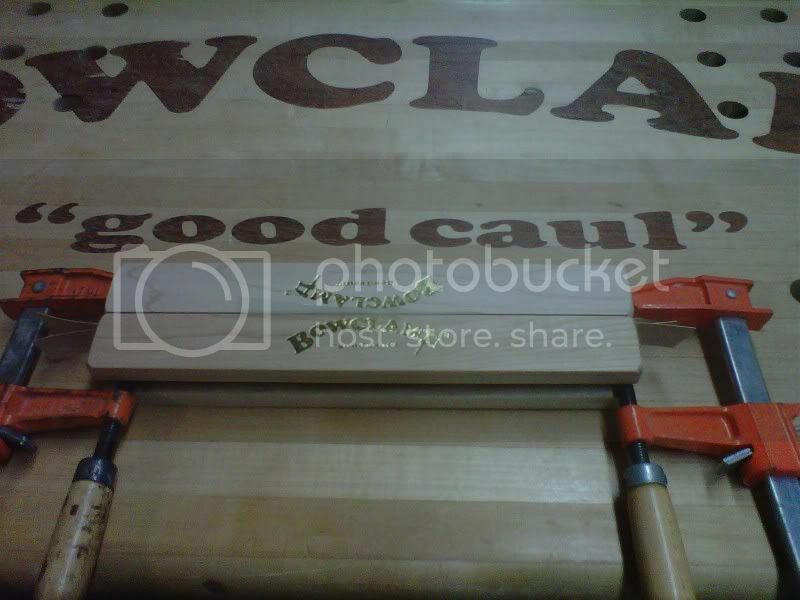 Just tested with the "F" clamps like Craig shows and I got full contact. Couldn't get it with what appears to be beefier "K" body Besseys- the paint on the handles is pretty slick, so maybe that's the issue. I'll just stick with the orange clamps, or move to Nebraska and get some height and the muscle that goes along with it. So much for the fallacy that those expensive imported clamps are "heavier duty" than cheapo Jorgie's. The Jorgie's have a finer thread. Try the oil though. Should be all it takes. I oil all of my clamp threads... It's a lot of twisting.